Located in front of the Royal Palace, in the historic centre of Madrid (Spain), Almudena Cathedral is one of our most emblematic projects. The place is a must for tourists and residents, since it is a really important religious building. This Christian temple was built in the 19th Century and it combines different artistic movements. The outer walls, for example, were built in the neoclassical style, while the inner area was based on the neogothic and neo-romanesque movements. 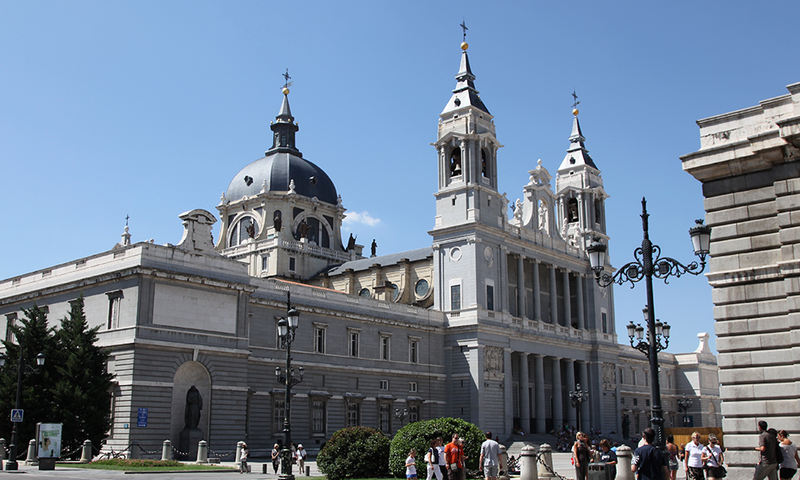 The construction of Almudena Cathedral lasted more than a century, from 1879 to 1993. There were several reasons why its creation was slowed down. One of them was due to the Spanish Civil war (1936-1939). Other reasons were the lack of funds and some discrepancies about its architectural style. Finally, in 1984, its building was taken out and the project was finally finished. The works started with the construction of the crypt and the project was mostly built in stone. Consequently, different types and varieties of limestones were used in its construction. That is the reason why our natural stone was selected and used in its creation. Our materials were used in the last period of its construction. It was in 1950 when Fernando Chueca Goitía and Carlos Isidro won the contest to finish the cathedral. The last stage of its construction, therefore, started in 1982 and several architects took part in it such as Miguel Olavarría. In its building 9000 m3 of Bateig natural stone were used (Beige and Fantasía variety). The own characteristics of Bateig stone, along with its neutral colour, made our stone a suitable option for this project. 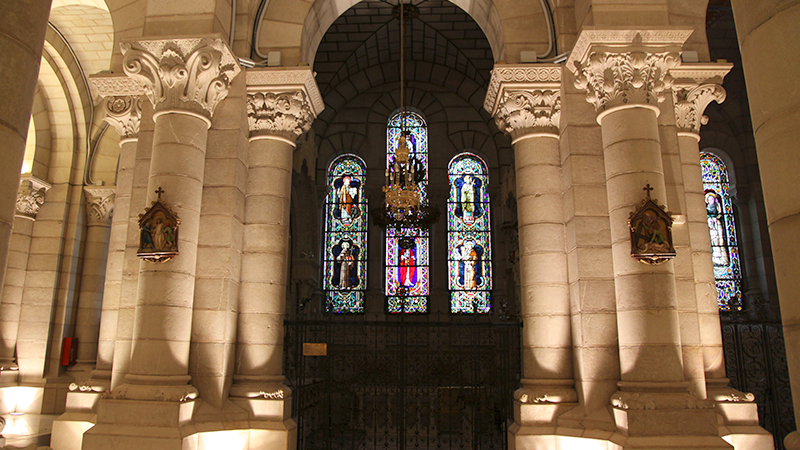 The cathedral is characterized by its outer neoclassic style, similar to the appearance of the Royal Palace. This is an example of the quality and versatility of our natural stone, which is completely able to be used in varied projects. 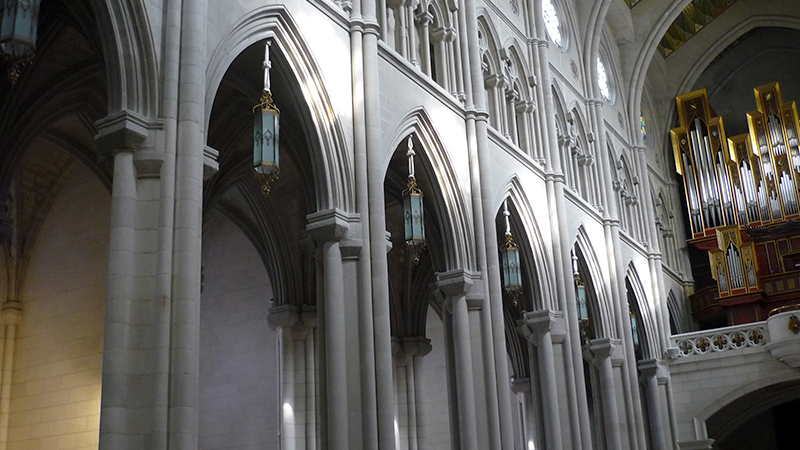 Our material is suitable for the restoration of historic and cultural buildings: cathedrals, churches and museums. 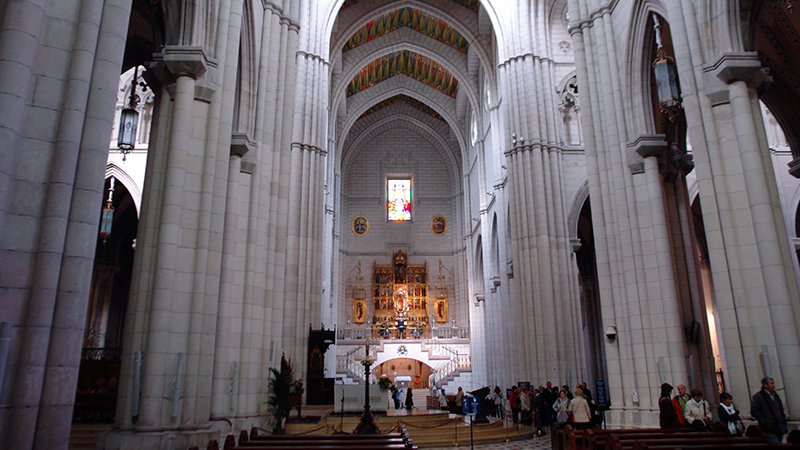 In conclusion, Almudena cathedral is one of the newest Spanish cathedrals. Furthermore, it is also the only one which has been consecrated by the Pope (Juan Pablo II, 15th June 1993) in Spain.